The temples and tombs in Vietnam are some of the most beautiful and eye-opening archaeological structures in the world. As well as places of worship and monuments of death, the temples and tombs of Vietnam represent the country’s rich culture and heritage that are so important to its identity. With thousands of people taking holidays in Vietnam each year, one of the many highlights of any visit are these awe-inspiring structures. 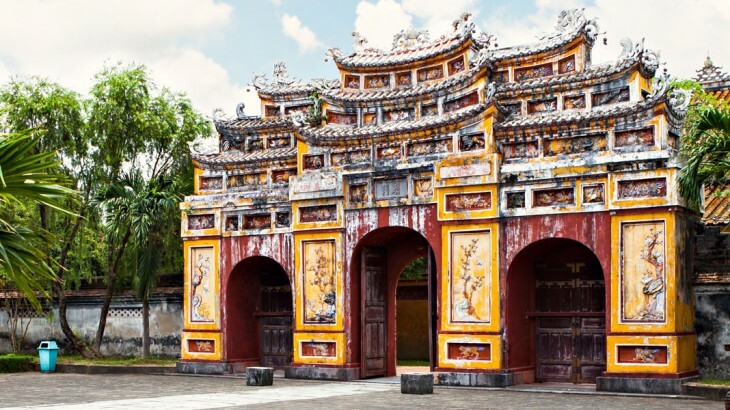 For those who are taking a trip to the Southeast Asian country soon, here is our guide to exploring the most fascinating temples and tombs in Vietnam. 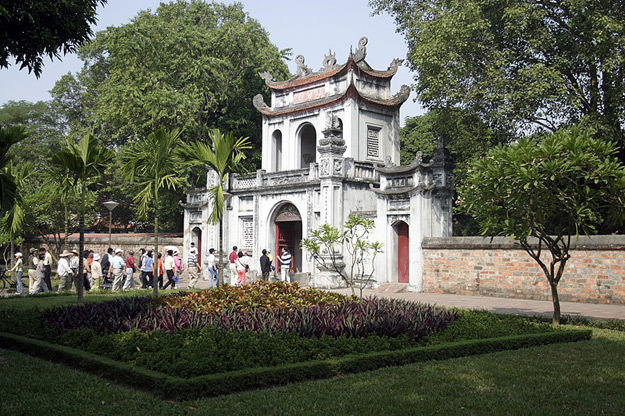 As the first national university in Vietnam, established in 1076 under the rule of King Ly Thanh Tong, the Temple of Literature in Hanoi is one of great importance. It was historically used to teach and educate Vietnam’s bureaucrats, nobles and royalty until 1779. Today it is the home of some of the rarest Vietnam architecture and honours the country’s finest scholars and men of literary accomplishment in an extraordinary environment and lush green gardens. Consisting of five linear courtyards and an impressive twin-tiered Van Mieu gate, which leads to three pathways running through the length of the complex, the Temple of Literature is one of magnificent stature. 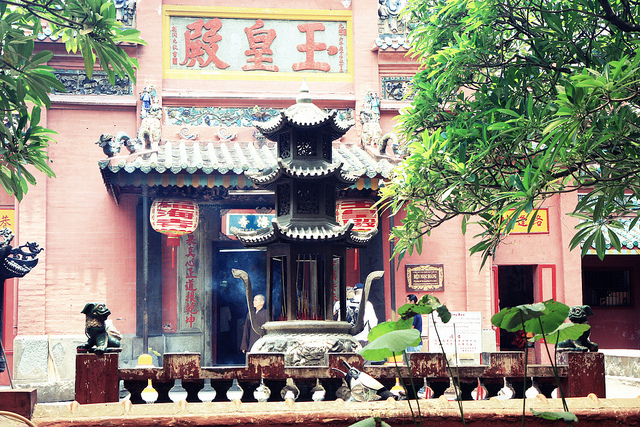 Another extravagant and atmospheric temple in Vietnam is the Jade Emperor Pagoda, which is one of mystery and intrigue. Built in 1909 in honour of the supreme Taoist god, also known as the Jade Emperor or King of Heaven, Ngoc Hoang, the Jade Emperor Pagoda is one of great significance in terms of heritage and religious values. As you step into the main building facing the altar, two fierce looking statues await you, shrouded in immense clouds of incense smoke. Woodcarvings and structures made out of reinforced papier mache surround the walls under a decorated roof with elaborate tile work. 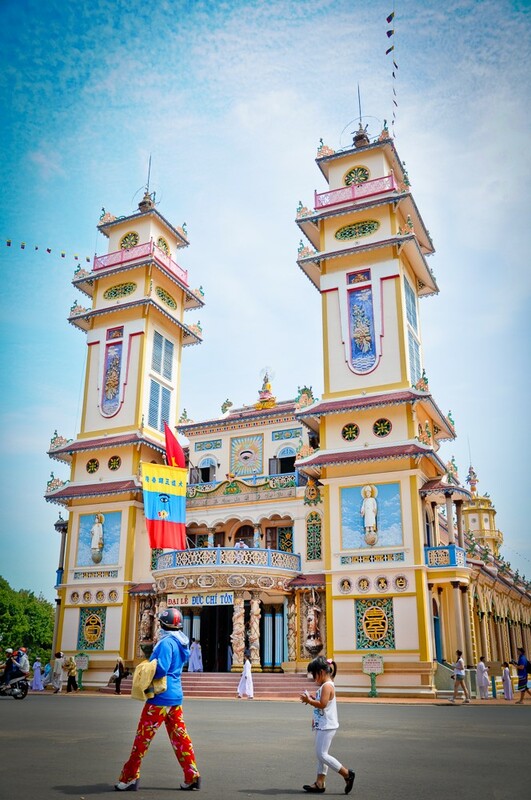 Translated as the ‘Highest Lord’, the Cao Dai Temple is a significant landmark of the Vietnamese religious movement that incorporates aspects of Buddhism, Taoism, Confucianism and Catholic worship. The style in which the temple was built reflects the mixture of its unique heritage and blends these religions and traditions. The building is based upon Neo-Gothic, Baroque and Oriental design, but is decorated in traditional Vietnamese colours and dragon-wrapped pillars. If you are thinking of visiting Cao Dai Temple, watching Caodaists pray is one of the highlights and is a magnificent display of personal reflection and colour. Dressing in long flowing robes and sitting cross-legged on the floor, lay followers wear white; yellow, blue or red for priests; and bishops are represented by the Divine Eye embroidered on their headpieces. Alternatively, Phu Quoc, the largest island in Vietnam, is home to some wonderful styles of Cao Dai Temples. One being a simplistic representation of the fusion of religions with marble white flooring and bare walls, and the other demonstrating the traditional technicolour style of Cao Dai. 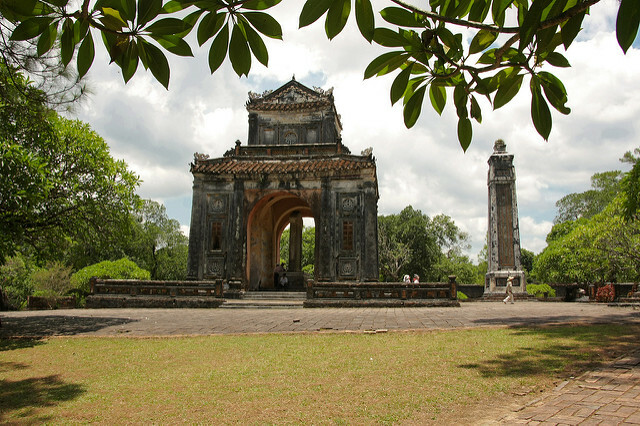 Built for the Nguyen Emperor Tu Duc, the tomb was constructed between 1864 and 1867 and was divided into two separate areas, one for the tomb and the other for a temple of worship. Surrounded by a lake and a tiny island where the Emperor used to hunt small game, the tomb itself is one of the most popular and impressive of the royal mausoleums. Enclosed by a wall, it is situated on the far side of a tiny lagoon and boasts an impressive 20-tonne stone tablet inscribed by the Emperor himself shortly before his death. Hao Khiem Temple is where he and his wife would worship, although it was originally meant to be a theatre, and today houses countless impressive royal artefacts from the era and from his life. Located 12km from Hue, the setting that surrounds the tomb of another Nguyen Emperor, Minh Mang, is one of natural beauty and includes landscaped lakes and canals. The tomb was planned and designed during his reign (1820-1840) but wasn’t built until his successor, Thieu Tri, came to the throne. The combination of structural symmetry and natural landscapes make Minh Mang’s tomb a fascinating one. Beyond the central courtyard is the Pavilion of Steles, which represents the ‘three powers’; the heavens, the earth and water. 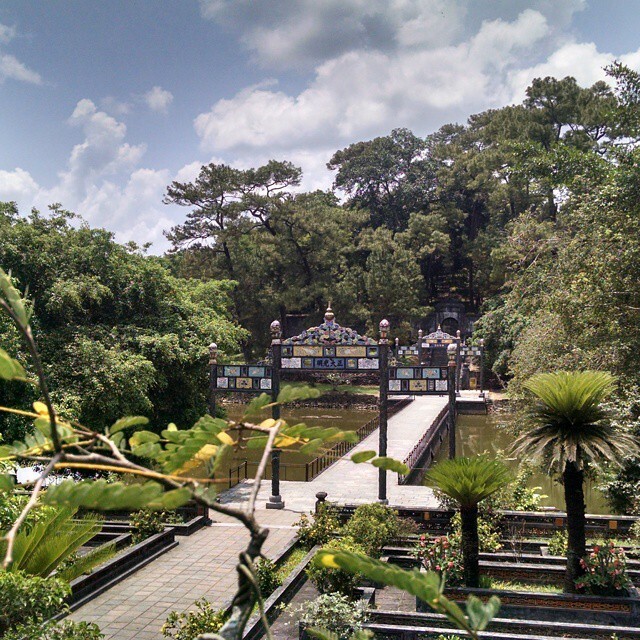 A bridge, which crosses the lake of flowers, including the lotus, takes you up to the temple where the sarcophagus of Emperor Minh Mang lies. 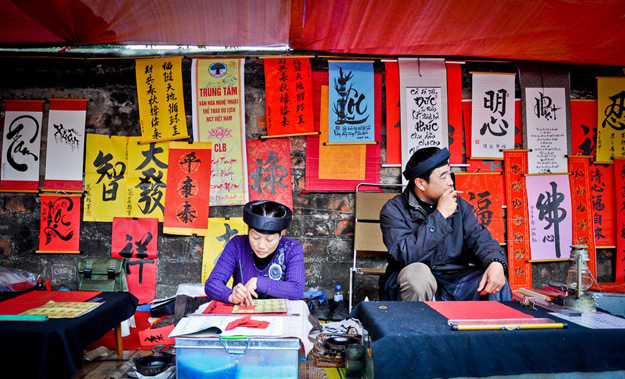 Book a guided tour of Vietnam with the Asia experts, Wendy Wu Tours. Our award winning escorted, fully inclusive tours visit all the major sights of Vietnam for an unforgettable holiday. Vietnam culture, sightseeing, top things to see, unesco heritage site. permalink.